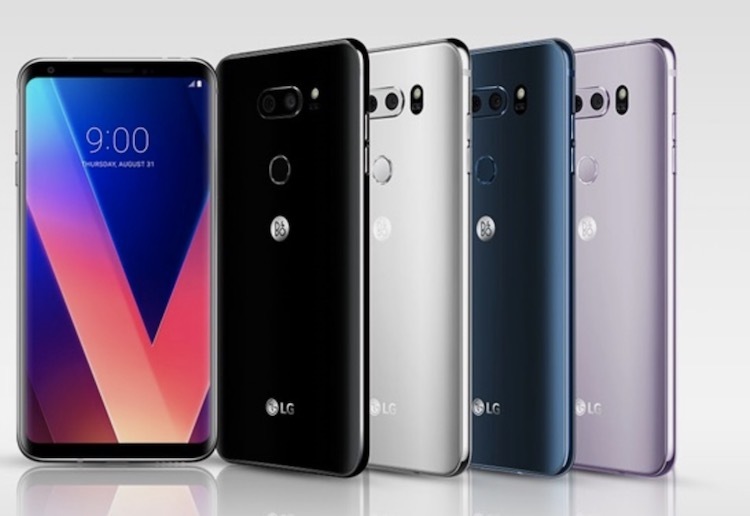 With artificial intelligence (AI) becoming a buzzword for most smartphone vendors, South Korean consumer electronics giant LG has announced that it will bring the emerging technology to its smartphone lineup this year, starting with the 2018 version of the LG V30 that was originally launched last year. Called ‘Vision AI’ and ‘Voice AI’, the new proprietary technologies will bring “a unique and more intuitive user experience, focusing on the camera and voice recognition”, according to the company’s press release. While the former is expected to bring augmented image recognition skills to the LG V30 2018, the latter will apparently add some new and exclusive Google Assistant voice commands. 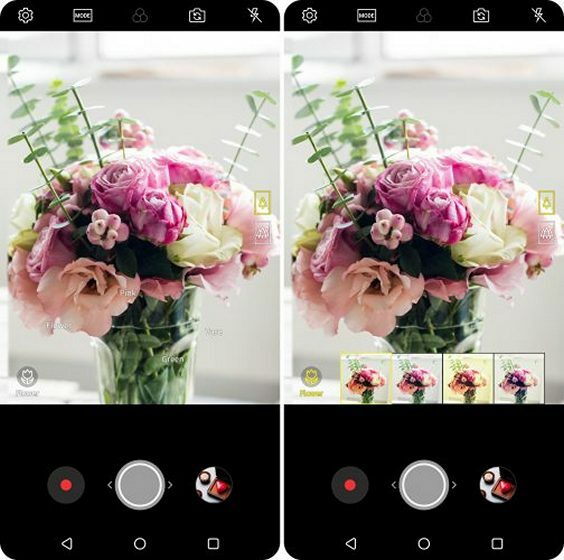 LG says that Vision AI is able to automatically analyze any scene to recommend one of eight shooting modes available on the phone’s camera app. To do that, the company claims to have fed the AI software with 100 million images to develop the algorithms that measure the angles, colors, reflections, back-lighting and saturation levels. The eight modes are portrait, food, pet, landscape, city, flower, sunrise and sunset. 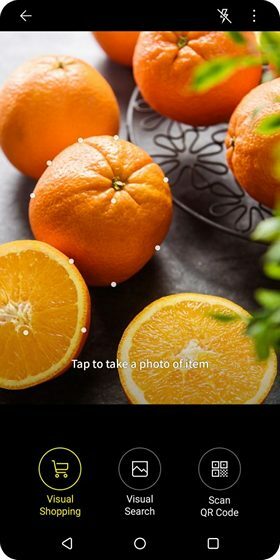 According to LG, the software will also be able to recognize items for a new visual shopping feature that can offer “shopping advice through smart image recognition”, including the ability to “provide shopping options including where to purchase the item for the lowest price”. 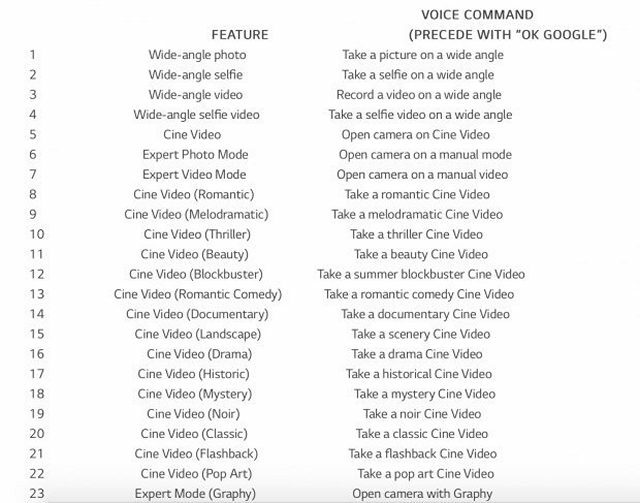 Voice AI includes 32 LG-exclusive Google Assistant commands, which is up from 23 commands last year. According to the company, the commands “allow users to run apps and change settings through voice commands alone”, without having to sift through all the settings and menus manually. The following is the complete list, as revealed by LG. It isn’t immediately clear if LG will roll out an update to bring these features to existing V30 units, but the company has hinted that those plans are already well underway. According to the press statement, “Certain AI features will not be limited to new LG models only, but also to existing LG smartphones via over-the-air updates, taking into consideration various hardware specifications and stability of LG smartphone models for maximum user experience”. So if you own a relatively new, top-of-the-line LG smartphone, you can expect to get Vision AI and Voice AI on your handset at some stage going forward.